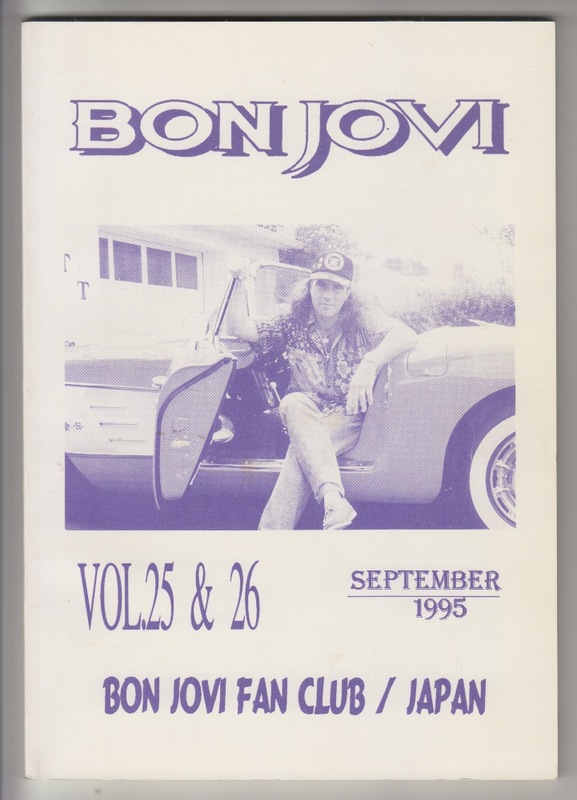 BON JOVI ‘s Japanese version fan club bulletin, September 1994 issue. 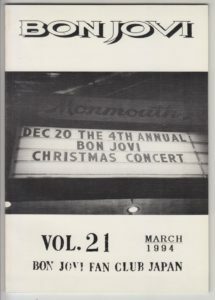 GME ’94 AONIYOSHI concert report part 2 and a total review of the performance to Japan in 1993 are posted. 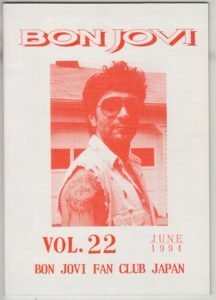 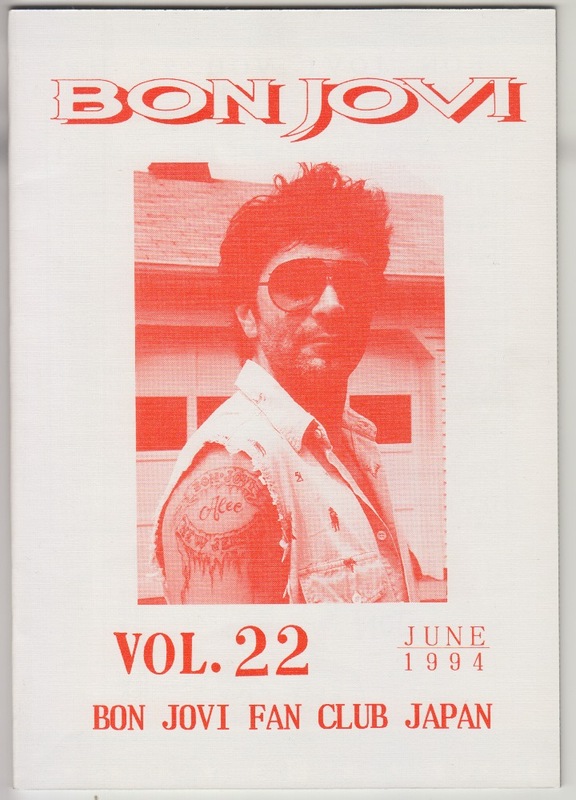 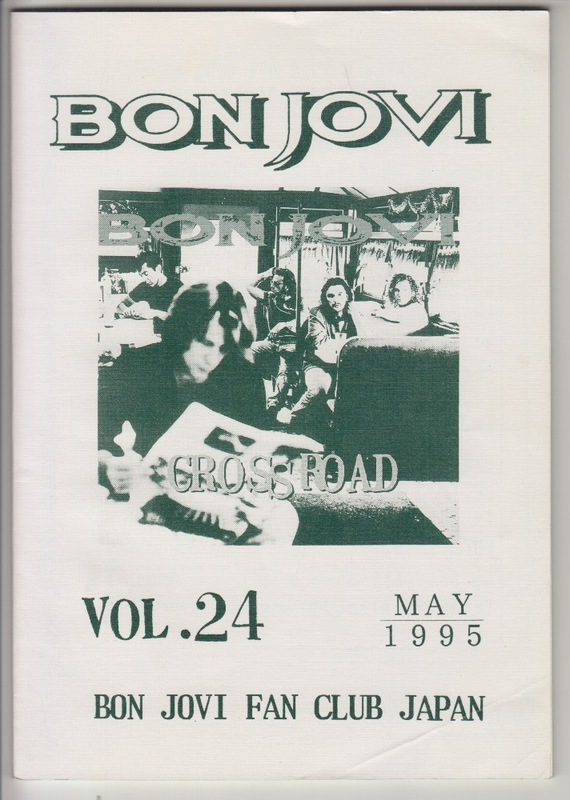 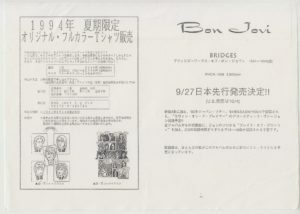 BON JOVI ‘s Japanese version fan club bulletin, June 1994 issue. 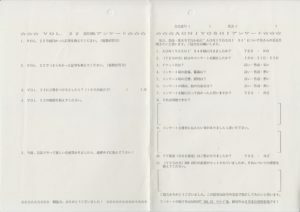 GME ’94 AONIYOSHI concert report by 1994 and a total review of the performance to Japan in 1993 are posted. 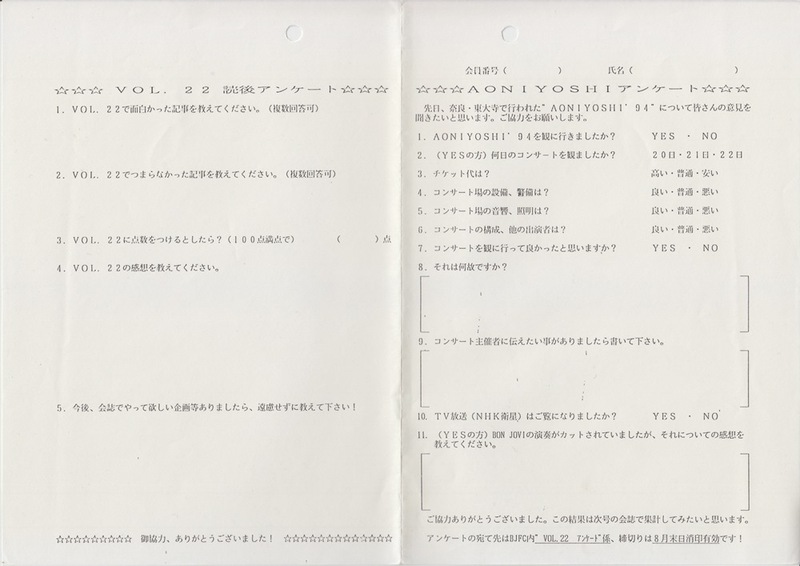 With questionnaire form and information form. 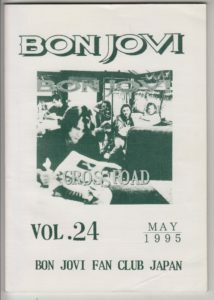 Information on the best album that eventually became “CROSS ROAD” on the information form. 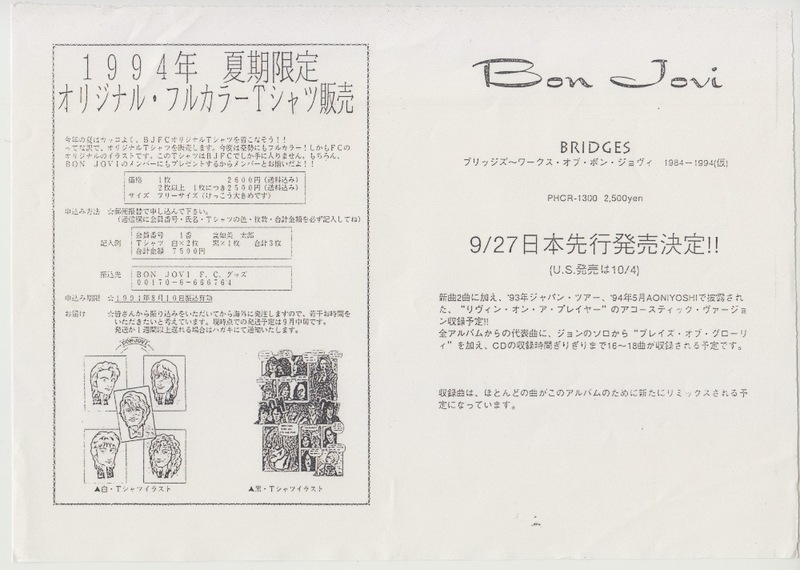 The title “BRIDGES” as a provisional title, and the tracks recorded are also written to be remixed (in fact it was not done). BON JOVI ‘s Japanese version fan club bulletin, March 1994 issue. 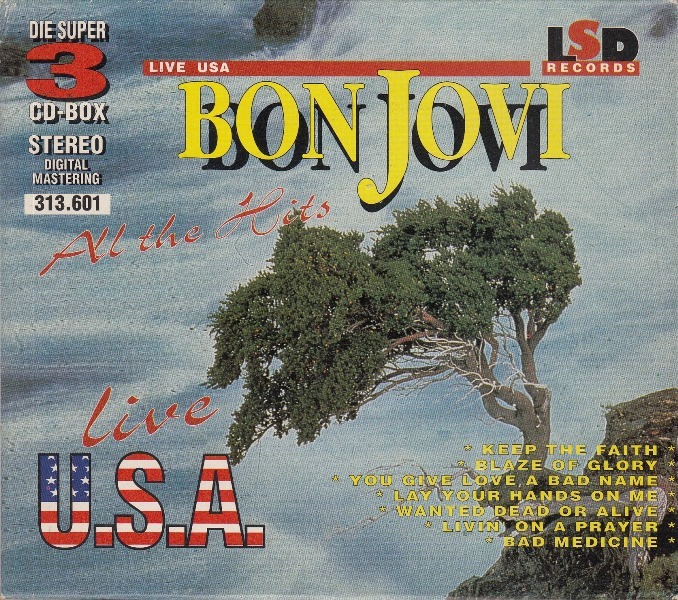 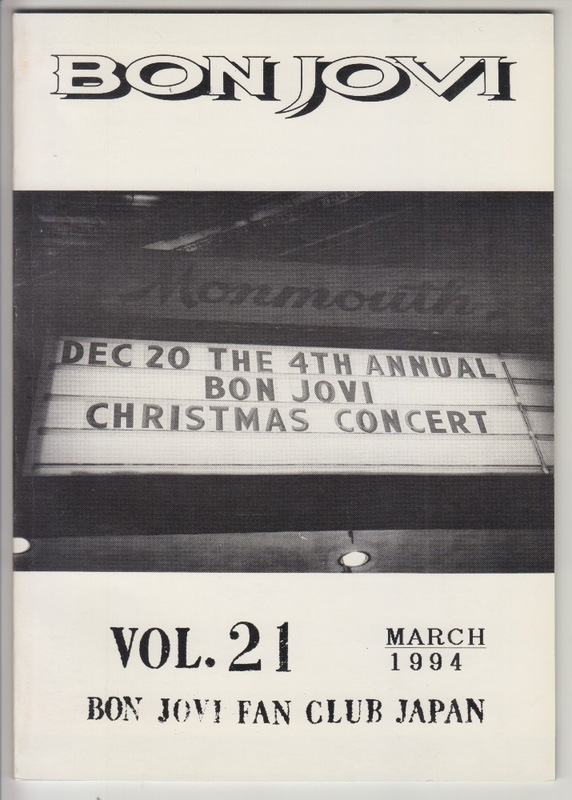 1993 Christmas Benefit Concert report, JON BON JOVI & RICHIE SAMBORA AIRS visit confidential stories etc. 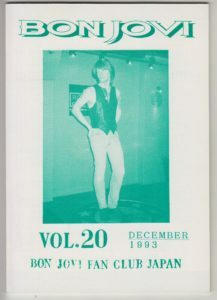 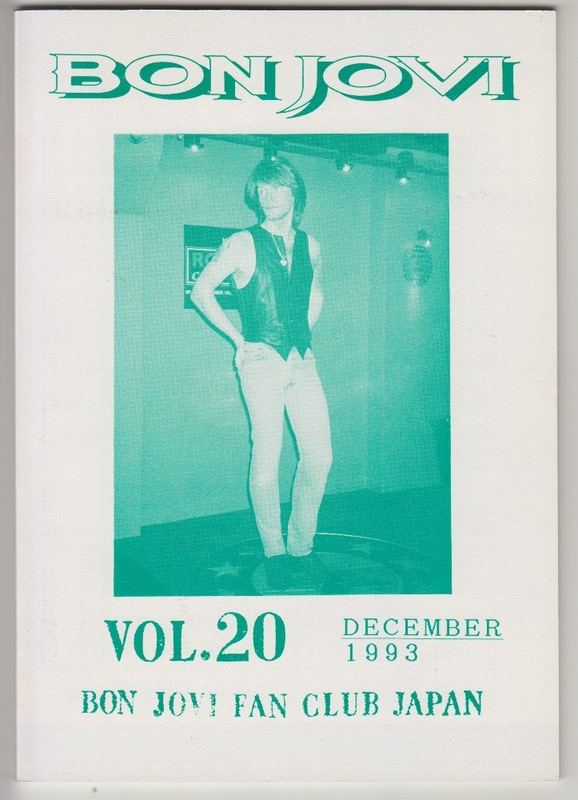 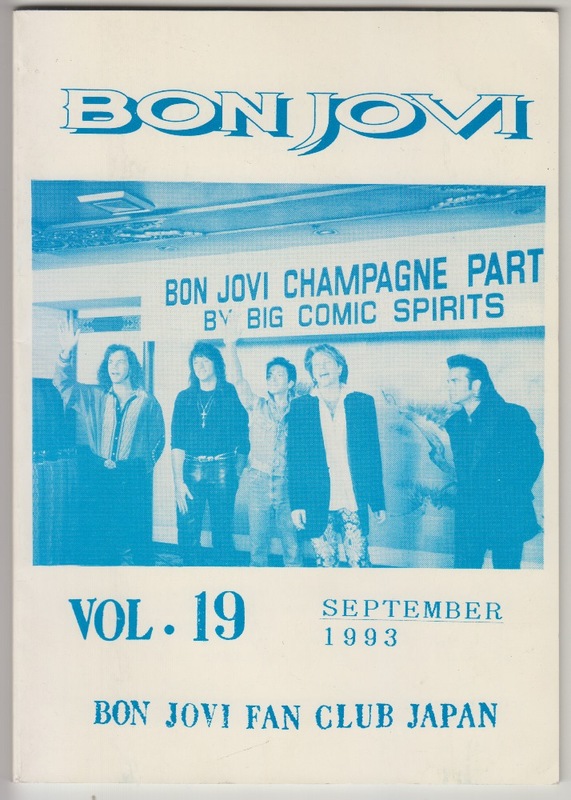 BON JOVI ‘s Japanese version fan club bulletin, December 1993 issue. 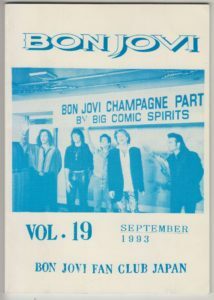 1993 Japan Tour Report 2nd bullet, 1992 Promotion Champagne Party Report at the time of visiting Japan etc. 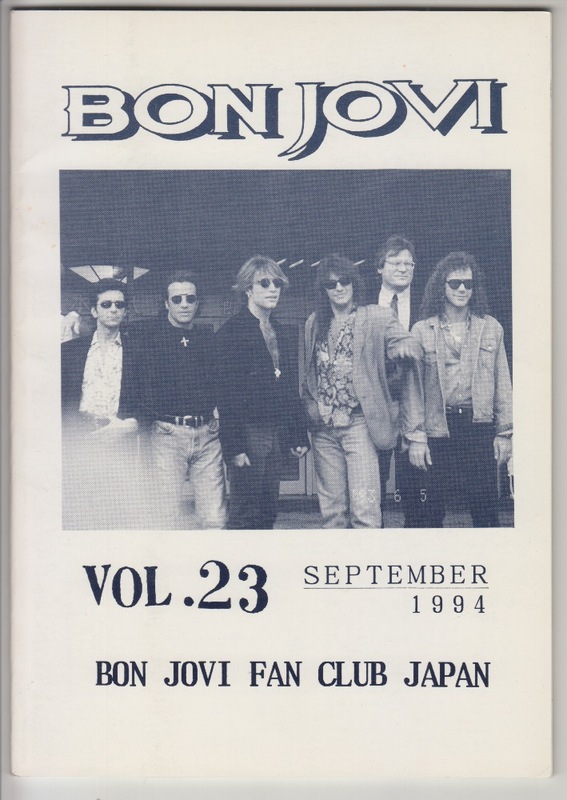 BON JOVI ‘s Japanese version fan club bulletin, September 1993 issue. 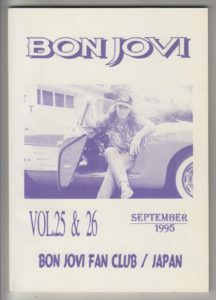 1993 Japan Tour Report etc is posted.